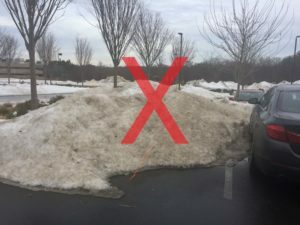 Did last winters record cold and snowfall leave you frustrated with your Commercial Snow and Ice Management Provider? No Shows, Icy Walkways, Giant Piles, Parking Loss? Call Now – We Can Help 508-429-5555. Why Choose Paul Smith for your Commercial Ice and Snow Management? Reliable: We have grown through long-term relationships with our clients. Established: 30 years of New England winter experience. Capable: Full fleet of the latest loaders, snowplows, dump trucks. Experienced: All work is done using our long-term employees. We do not hire contractors or day labor. Full service: Snow plowing, snow removal, hauling, and de-icing. Specialized: High traffic areas, special requirements. Your parking lot and sidewalks are the first impression your customers get of your business. 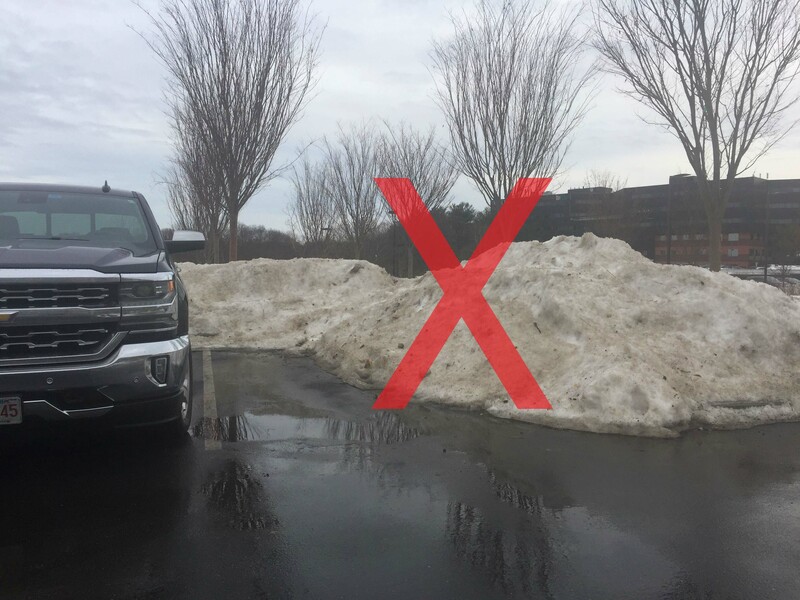 A sloppy job on ice and snow management is a reflection on your business. If you are frustrated with the responsiveness or quality of your current snow and ice management service, please give us a call. Paul G. Smith, Inc. is a commercial snow and ice management professional with over 30 years experience. Our seasoned professional staff will keep your entrances, parking areas, access roads and walkways cleared and safe throughout each snow event. 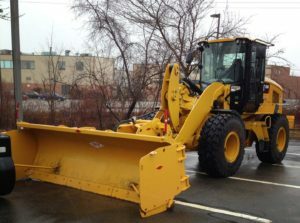 With a large assembly of snow removal equipment and manpower, we will manage your account 24 hours a day, 7 days per week. Our number one priority is to maintain safe access for your employees, customers and suppliers. 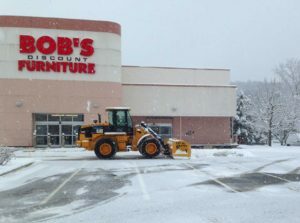 Professional quality snow and ice management service, coupled with competitive pricing makes the case for Paul G. Smith, Inc. the logical choice for commercial office buildings, shopping malls, and businesses of any size. 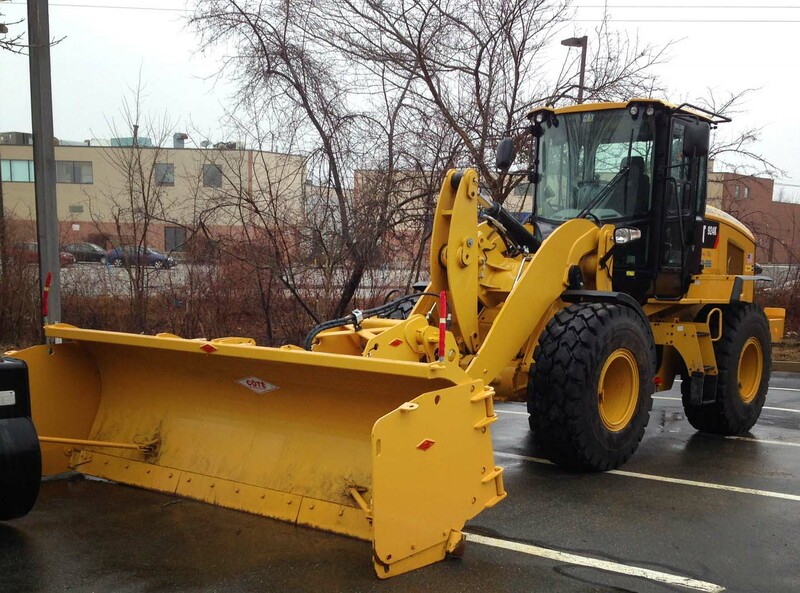 Our offices, garages, equipment and yard are located in Holliston, MA. We service the Boston MetroWest area including portions of Middlesex County, Norfolk County, and Suffolk County including towns of Ashland, Framingham, Holliston, Hopkinton, Dover, Framingham, Medway, Natick, Sherborn, Sudbury, Southborough, Wayland, Wellesley, Weston, Needham, Westwood, Medfield, Newton and beyond.